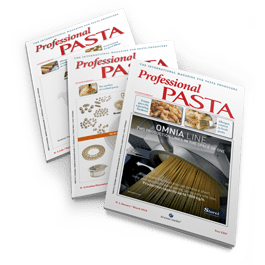 All the steps of the pasta static drying process (heating, predrying, drying, stabilization) have already been described and specific technological principles for “heating” and “pre-drying” steps have thoroughly been illustrated in Professional Pasta 1/2018. 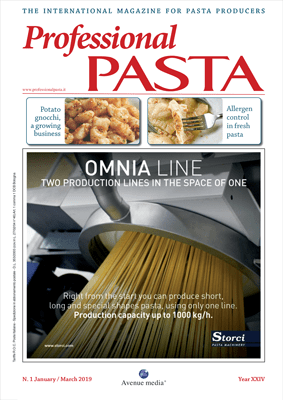 The purpose of this article is to thoroughly analyze pasta “drying” and “stabilization” steps in the technological static drying process. 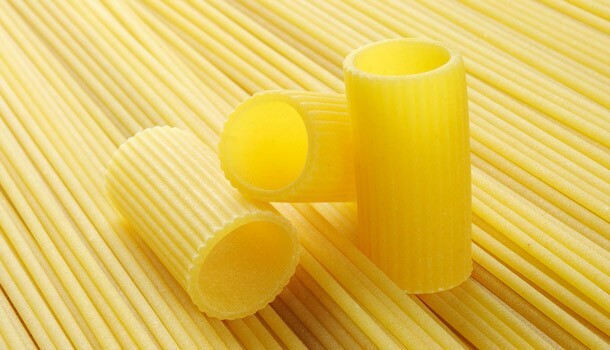 Approximately two hours and a half after the beginning of the process, pasta should reach 22-21% of residual moisture, at 43-45 °C. 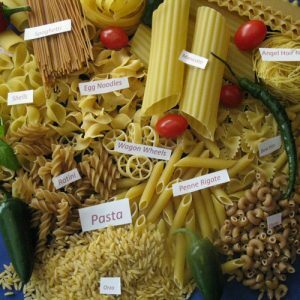 Pasta changes its physical condition and turns into “elastic”. 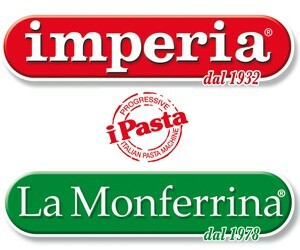 This means that each deformation in pasta structure, even the slightest, generates a force that tends to eliminate it. In other words, even the slightest reshaping of a rigatone caused by a very light dehydration determines the creation of dynamic forces inside. Obviously, pasta does not immediately turn from “plastic” into “elastic”, this does not occur instantaneously, but rather progressively. 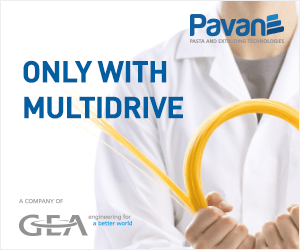 This means that, starting from a level of moisture of about 22-20%, pasta (at 43-45 °C) is no longer “completely” plastic, but not even “completely” elastic. Therefore, between these moisture levels there is a tolerance margin for any little mistake in the new drying parameter settings and this consideration shall also be taken into account.